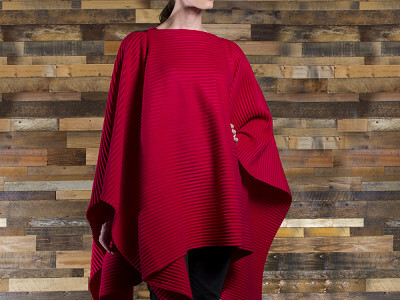 Pleats meet fleece in Scandinavian designed ponchos, scarves, and hats with a sleek, contemporary look and soft, luxurious feel. Created by textile designer Marianne Abelsson for a Swedish company called Design House Stockholm, the Pleece Collection delivers the perfect mix of modern and classic styling. Made with quality and care in Sweden, accordion pleats add depth, dimension and sophistication, while the unique blend of polyester and viscose is more plush and cozy than ordinary fleece. The fabric is crafted to maintain its shape and softness even after washing. Hand or machine wash on gentle cycle and tumble dry on low heat or lay flat to dry. For him or her, indoor or outdoor wear, the Pleece Collection puts the finishing touch on any outfit. 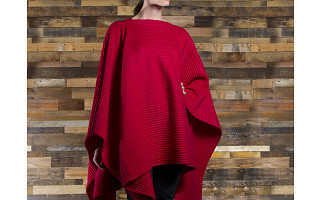 Pleats meet fleece in Scandinavian designed ponchos, scarves, and hats with a sleek, contemporary look and soft, luxurious feel. Created by textile designer Marianne Abelsson for a Swedish company called Design House Stockholm, the Pleece Collection delivers the perfect mix of modern and classic styling. Made with quality and care in Sweden, accordion pleats add depth, dimension and sophistication, while the unique blend of polyester and viscose is more plush and cozy than ordinary fleece. The fabric is crafted to maintain its shape and softness even after washing. Hand or machine wash on gentle cycle and tumble dry on low heat or lay flat to dry.